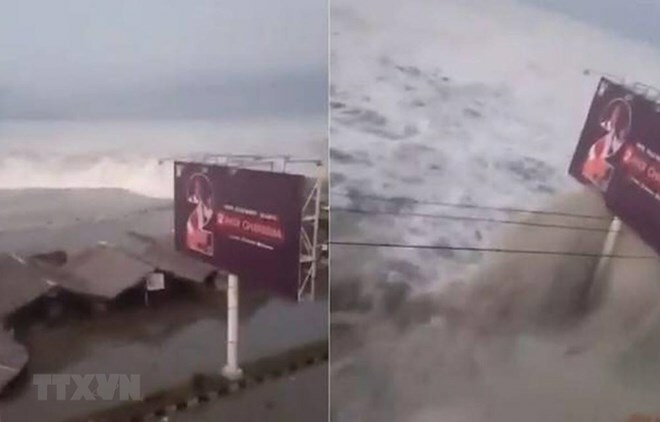 Deadly tsunami hit Palu city, Sulawesi island in September 2018. Jakarta (VNA) – A strong 6.8-magnitude earthquake rocked Sulawesi island, Indonesia, on April 12, triggering a tsunami warning, the US Geological Survey said. The quake struck at a relatively shallow depth of 17 km off the east coast of Sulawesi island. According to the Indonesia’s geophysics agency, there were no immediate reports of casualties or damage. Indonesia is one of the most disaster-prone nations in the world due to its position on the Pacific “Ring of Fire”, where tectonic plates collide.